Machine-made or the real deal? Today, the market is flooded with synthetic, machine-made rugs. These rugs are made with synthetic fibres, such as polypropylene, polyester and acrylic. 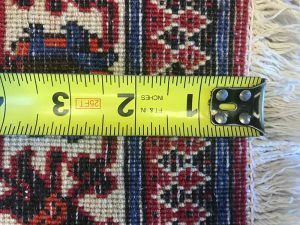 Although these rugs initially come at a low price, they can often end up costing you more. Compared to handmade rugs, synthetic rugs become duller and dirtier much faster. They don’t do well with wear and tear, and are harder to maintain and clean. A handmade rug should be cleaned every one to three years, whereas a synthetic rug will most likely require a professional cleaning within months. The main reason consumers opt for a machine-made rug is their affordability. 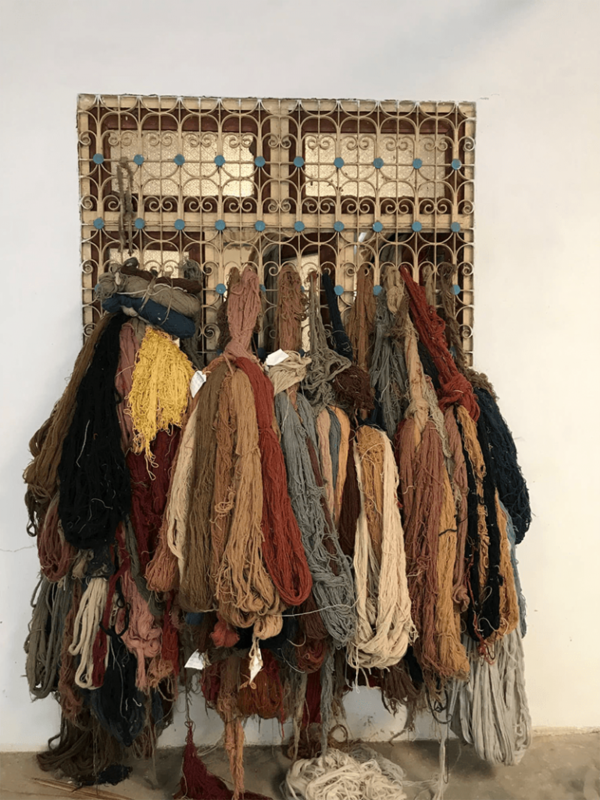 However, although a machine-made rug will cost you less initially, this may not be the case in the long term; these rugs do not last long and have no resale value. Whereas, a quality hand-knotted rug will hold up for decades and is still considered new by the trade after 10 years. A hand-knotted wool or wool and silk rug will become even more beautiful in the course of normal wear. On the other hand, machine-made rugs become worn rather quickly, and unlike hand-knotted rugs, they do not age well. When a machine-made rug experiences wear and tear, it usually reveals dull and ugly ground-threads. Whereas, hand-knotted rugs are very durable and age like fine wine – often, hand-knotted rugs gain more beauty after use. A quick test to see whether a rug is handmade is to turn it upside down and examine the backside. If you can’t see the pattern as clearly as on the front, the rug is most likely not handmade. Additionally, you should be able to see the knots on the back of a handmade rug. The more distinctly the design shows on the back, the greater the number of knots per square inch and the better the quality of the rug. Think of knots as pixels on a screen; the higher the knot count, the higher resolution of the picture. 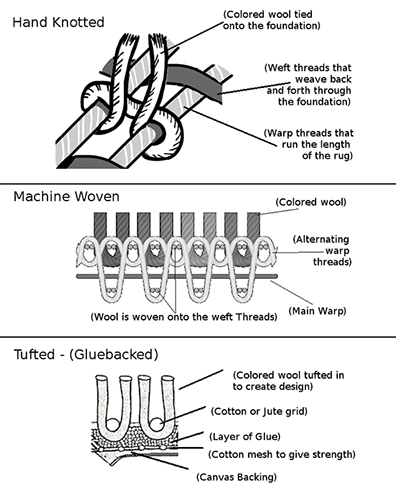 When it comes to materials, wool is the best and most commonly used for handmade rugs. Wool is durable, withstands wear and tear, is great for washing and lasts decades. Also, wool is a renewable resource, whereas, machine made rugs are made using plastic fibers from non-sustainable resources. For this reason, hand-knotted Persian and Oriental rugs are commonly made of wool with a cotton foundation. Finer Persian rugs are made with a wool and silk pile on a cotton foundation. The finest Persian rugs are knotted on a foundation of silk, with a silk pile.